Start your day with the right actions, discipline and mindset — and everything else will seem to fall into place. Your business will only grow to the amount that you commit to investing in your own personal development each day. Are you doing what it takes to be successful and achieve the levels of greatness that you truly deserve? 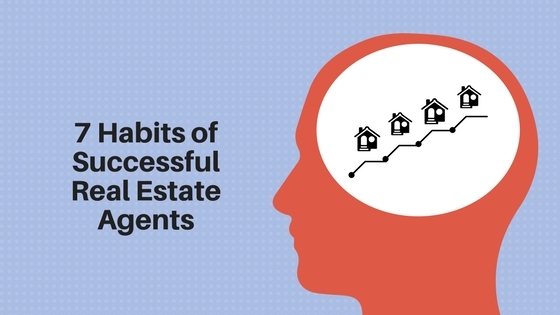 In working with agents for over a decade now, I’ve found these seven habits to be the difference between an average performer and a top producer in real estate. You can’t just go through the motions if you want to be at the top of your game. Implement these seven habits into your weekly and daily routine and watch your business and profits soar. How do you start your day? Every successful person has some type of morning ritual. Set a routine to start every day the right way. Remember to drink a lot of water, get your blood flowing and mentally get yourself ready for the day. Take time to invest in yourself and watch your energy and attitude increase. If you need an extra step in your day, check out “The Miracle Morning for Real Estate Agents” book. So many people let their clients take advantage of one of the most precious and valuable things on this planet, our time. What is your hourly rate? Take a minute, and ask yourself, what your time is worth? Once you have your number set, whether it’s $30 or $500-plus per hour, treat each minute like it’s worth that number. Let your clients know that you value their time just the same. If you put something in your calendar, get it done. The most successful people don’t cut corners and get things done when they say they will. Practice and study your craft — whether that means reading up on what’s going on in real estate or reading the latest articles on Inman. Be a sponge for knowledge. When was the last time you role played your listing presentation? Record your appointments and calls. Have a peer, coach or mentor review those with you and look for ways to improve. Be a student of the business and look to better your skills. Practice and study your craft. Be a sponge for knowledge Click To Tweet. Invest in yourself on a daily basis. It can be as simple as reading or listening to an audiobook for 15 minutes a day. How much extra time do you not take advantage of when you are driving, working out and doing mindless tasks like dishes or laundry around the house? Take advantage of that time by listening to audio and develop yourself every day. Invest in your business. Be careful here. A good rule of thumb is not to invest any money unless you will get three times the return on your investment. If you spend $1,000 on leads, make sure that you plan to get a minimum of $3,000 back on that investment. Pay attention to the dollars but also know that many times you have to spend money to make money. Just remember to master the basics. Plan out your week and make sure you have time in your schedule for lead generation, follow-up, negotiation, going on appointments and role-playing. Have a disciplined focus on these five key results areas of real estate and watch your business multiply. Every successful business has great people and great systems. Start with systems, and then look to hire more people. Start with a transaction coordinator. Then look to hire an administrative assistant. Many agents make the mistake of hiring a buyer’s agent or marketing expert before they have their operations and the administrative piece of their business running like a well-oiled machine. “The Millionaire Real Estate Agent” by Gary Keller has some great information if you feel like it’s time to take the plunge and add more people to your organization. Just remember to fire fast and hire slow. Ask yourself questions about your current systems, and always be looking to improve your operations and efficiency. Success doesn’t happen overnight. It happens by having a daily focus on developing yourself personally and professionally. Take a minute right now to create one action step you will implement each day to build your business and become a better version of yourself. Like what you read? Share our tips!